Quality Website Design Experience! Affordable Website Design Prices. optimization and full marketing services for your business. Looking for a professional, experienced website design company? dreams in to reality since 1996! Professionalism Paving The Road To Success! Request a Free Website Design Quote today! 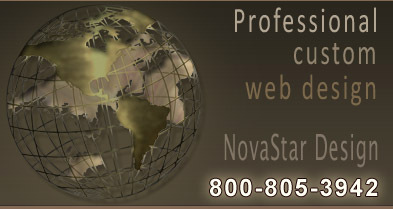 Your Business Deserves The Best Website Designers! 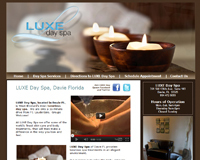 Custom website design specific to your business! We do not use templates as we feel each design should be unique to each business, thus allowing your company to establish, market and maintain your company branding online. Our quality of work reflects in each website we design! We have many website enhancements you may wish to add to your site such as image viewers to professionally display your work, forums, music, video, rollover menus, newsletter subscriptions, blogs and more. Like an artist, our website designers start with a blank white canvas as every website is a custom website design. We encourage you to visit our website design portfolio to get an idea of the quality of work you can expect from us. If you have a landscaping, construction, or medical business etc, no, your website will not look like those in our portfolio but you'll be a be able to get a good idea as to just what our web designers can do with a blank canvas! We enjoy working with small to medium size businesses. But what really makes it all worth it is to hear, from our clients, that they receive new business every day from their websites. Creating a successful website that does well in the search engines is what we are all about. Because if we don't, what does that say about our skills?! So go ahead, cruise our portfolio and feel free to contact the businesses listed there. Ask them how their website performs for them. They'll be happy to tell you. 12/14 Pool Contractor Website Design for Northern Pool Restoration located in Minneapolis Minnesota. Visit more contractor websites featured in our contractor website design portfolio. 12/13 Lawn Care Website Design for Seaside Lawn & Home Services located in Stuart Florida. Visit more lawn care websites in our lawn care, landscaping website design portfolio. 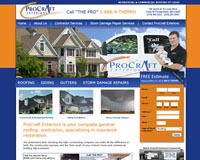 9/07 Roofing Contractor Website Design for ProCraft Exteriors located in St Louis Missouri. Visit more roofing websites featured in our contractor website design portfolio. 8/19 Wealth Management Website Design for DeRamus Wealth Management located in Richardson, Texas. Visit more financial websites featured in our financial website design portfolio. 8/11 Concrete Contractor Website Design for Red Oak Decorative Concrete located in Minneapolis Minnesota. Visit more concrete websites featured in our contractor website design portfolio. 6/01/2011 restaurant website design for Sebastiano's Steakhouse located in Port Saint Lucie, Florida. Visit more restaurant websites featured in our restaurant website design portfolio. 6/27 Physical Therapy website design for Mobility Plus with four locations in the greater Detroit MI area. Visit more medical websites featured in our medical website design portfolio. 4/20 HVAC website design for Adams Air Conditioning located in Stuart and Port St Lucie FL. Visit our HVAC Heating and Cooling websites featured in our HVAC heating and cooling website design portfolio. 3/07 HVAC website design for Rite Temp located in Grandville, MI. Visit our HVAC Heating and Cooling websites featured in our HVAC heating and cooling website design portfolio. 3/01 Roofing Contractor Website Design for W Brothers Roofing located in Palatine, Illinois. Visit more roofing websites featured in our contractor website design portfolio. 2/15 Music Artist Website Design for Christian Music Artist, Nicole C. Mullen Nashville, Tennessee. Visit more music websites featured in our music website design portfolio. 2/10 Industrial Supplier Website Design for TreCo Tech Supply located in High Point, NC. 2/01 Contractor Website Design for Twin Cities Ice Dam Removal located in Minneapolis St Paul MN. Visit more contractor websites featured in our contractor website design portfolio. 1/31 HVAC website design for AC Solutions located in Covington LA. Visit our HVAC Heating and Cooling websites featured in our HVAC heating and cooling website design portfolio. 1/29/2011 Medical website design for Global Health Management located in Tamaqua, PA. Visit more medical websites featured in our medical website design portfolio. 12/17 Non Profit humanitarian aid organization website design with Paypal integration for Wahoo Foundation International located in Maryland. 12/6 Ecommerce Website Design for Ashore Decor located in Fernandina Beach, FL selling handmade tropical decor online. 11/15 Boat Charter Website Design for Florida Cracker Airboat Rides and Guide Services located in Vero Beach, Florida. 11/4 HVAC website design for Hollerman Heating and Cooling in Gallitan, TN. Visit our HVAC Heating and Cooling websites featured in our HVAC heating and cooling website design portfolio. 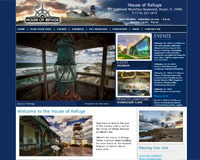 10/30 - Bed and Breakfast website design - Elsie's Bay Manor located in Des Moines Washington. What can a professional custom website design do for your business? Establish your branding and marketing online. Be open for	business 24/7! Increase inquires and leads by having your products, services and information available and online. Increase your company's revenue and profitability. Represent your company professionally online. Guaranteed your competition is out there on the internet and you're company should be too! Google your services in your servicing area. Is your company website there? How about your competitor's? With the internet always at our finger tips, it's essential to set aside a portion of your company's marketing budget for website and online marketing. Stay competitive in your industry, contact our website designers for a free website design quote.